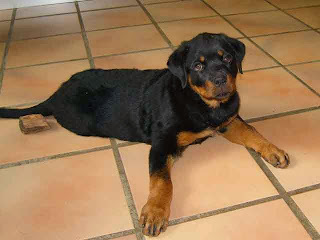 Rottweilers shedding might be a big problem for rottweiler owners, here are some tips to controll your dog's shedding. 2 - Control allergies and fleas. See your veterinarian to make sure your pet is getting proper allergy relief. And if you notice fleas make sure to do the right thing to prevent itching and scratching. 3- Boost pet hair health with omega oils. Pet experts and veterinarians say that certain nutrients can be very beneficial for pet hair health. One of these nutrients are fatty acids, such as omega-3 fatty acids and omega-6 fatty acids. Both of these oils can boost the shine and gloss of your pet's coat and decrease shedding. It's very important for your Dog's health. 4 - Brush your pet regularly. As you implement the above recommendations into your pet's lifestyle and decrease shedding, regular brushing can quickly help you clean up any residual pet shedding. 5 - Have regular checkups. Many diseases can affect the skin and haircoat. Regular visits to your veterinarian will help identify problems early, and provide more effective treatment. 6 - Remove hair from upholstery and your dog's bed as soon as possible. Hair that is newly shed is easier to remove before it works its way into upholstery fabric.